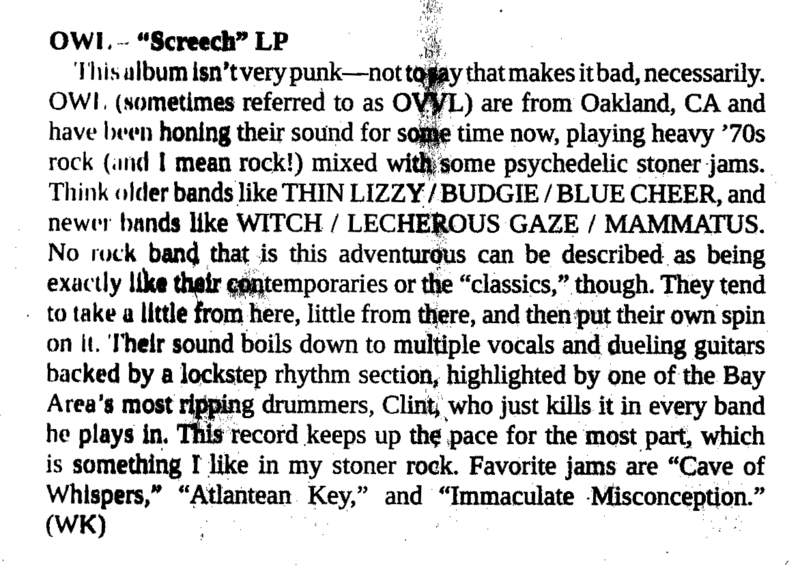 Owl : THE ONE AND ONLY EVER REVIEW OF "SCREECH"
THE ONE AND ONLY EVER REVIEW OF "SCREECH"
We had to donate two copies of the record to make it happen, but THE 100% MEDIA BLACKOUT OF THE SCREECH LP IS FINALLY OVER! Someone has now reviewed the record, only nine months after it came out. Thanks MRR! "This album isn't very punk–not to say that makes it bad, necessarily. 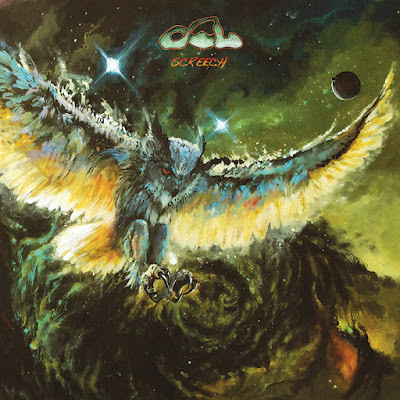 OWL (sometimes referred to as OVVL) are from Oakland, CA and have been honing their sound for some time now, playing heavy 70's rock (and i mean rock!) 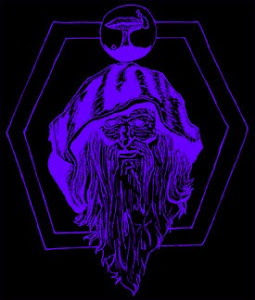 mixed with some psychedelic stoner jams. Think older bands like THIN LIZZY / BUDGIE / BLUE CHEER, and newer bands like WITCH / LECHEROUS GAZE / MAMMATUS. No rock band that is this adventurous can be described as being exactly like their contemporaries or the "classics," though. They tend to take a little from here, a little from there, and then put their own spin on it. Their sound boils down to multiple vocals and dueling guitars backed by a lockstep rhthym section , highlighted by one of the Bay Area's most ripping drummers, Clint, who just kills it in every band he plays in. 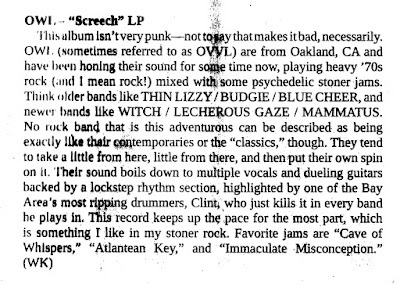 The record keeps up the pace for the most part, which is something I like in my stoner rock. Favorite jams are "Cave Of Whispers," "Atlantean Key," and "Immaculate Misconception.""